All the Candidates Who Filled there Online Application Form and gave the exam are now waiting for there Exam. The Exam was Written Objective Type. The Exam was Conducted on the Various Exam Dates which was Started from 21.01.2019. The Exam was of 180 Marks with 02 Hours Time Duration. Stenographer Gr.-III– Stage-I (Written Examination), Stage-II (Hindi/English Computer Type Test) and Stage-III (Hindi/English Stenography Test). Junior Assistant and Paid Apprentices – Stage-I (Written Examination), Stage-II (Hindi/English Computer Type Test). Driver – Stage-I (Written Examination), Stage-II (Technical Driving Test). ‘D’ Cadre Posts – Stage-I (Written Examination), Stage-II (Written Examination). All the Candidates Who gave the Exam Successfully for the Above Vacant Posts are Now waiting for there Result. Many Candidates Start Searching for that Result so we Advise them to have some Patience. Soon the Allahabad High Court will Provide the Result on his Official website. We will also Provide the Result on this Page so the Candidates will easily check the Result without Visiting to Any Other Website. Here we are Providing the Direct Link to Download the Result. Final results of successful candidates for Post Code 02 (Class-III post) and Post Code 03 (Class-IV post) Is Declared…Check It Through the Link given below…. Allahabad High Court Has Released Result for Stenographer Gr.-III (Post Code 01), Group C (Post Code 02), Drivers Gr.-IV (Post Code 03) and Group D Cadre Posts (Post Code 04) under the U.P. Civil Court Staff Centralized Recruitment 2016-17……Check Your Result through the Link Given Below…..
Click here to view the list of successful candidates in Written Examination (Stage-I) conducted for the post of Stenographer Gr.-III (Post Code 01). Click here to view the list of successful candidates in Written Examination (Stage-I) conducted for the post of Group ‘C’ (Clerical Cadre, Post Code 02). Click here to view the list of successful candidates in Written Examination (Stage-I) conducted for the post of Drivers Gr.-IV (Post Code 03). Click here to view the list of successful candidates in Written Examination (Stage-I) conducted for Group ‘D’ Cadre Posts (Post Code 04). 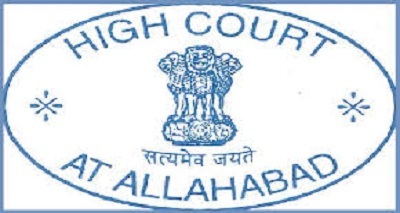 All Candidates are advised to be in touch with the official website of Allahabad High Court website for Latest updates regarding Admit Card Also the Candidates can Add our Page (www.jobriya.in) to their Bookmark to get the latest Alerts regarding the Exam, Result and Other related Information.